Ilan Ziv's documentary. I appear in chapter 3 on Ricardo. But other than that, there is an impressive list of names, including Robert Boyer, Ha-Joon Chang, Noam Chomsky, David Harvey, James Galbraith, David Graeber, David Harvey, Kari Polanyi Levitt, Eric Mielants, Thomas Piketty, Robert Skidelsky and Yanis Varoufakis among others. 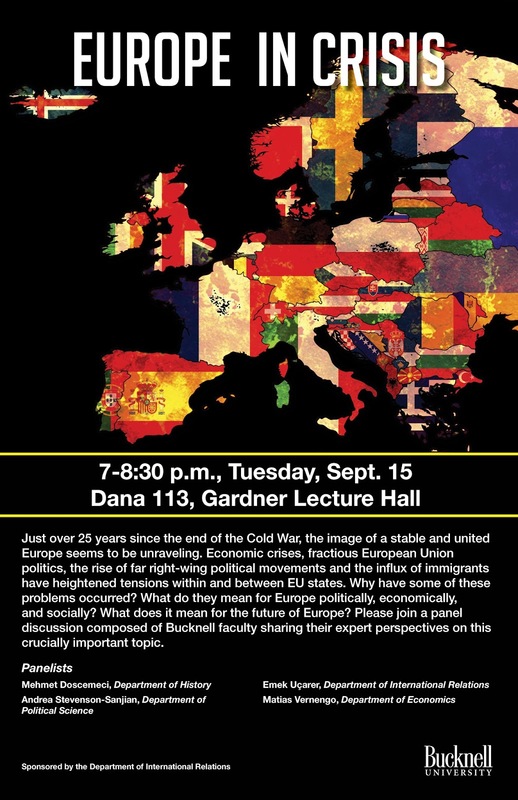 It should be good for courses on history of ideas, history and about the crisis. Richard Clarida gave an interview (right at the beginning of the podcast) on why the Fed should increase the rate of interest. He also said that the Fed can affect inflation, which, he correctly points out, is denied by several economists. However, the degree of confusion on this subject is significant, and modern monetary theory, and its implications for central banking behavior, is, in part, responsible for that. The conventional wisdom on what central banks can do (and one can think of Clarida's contribution with Galí and Gentler as a good summary of the dominant position) suggests that central banks can only target inflation efficiently in the absence of cost-push inflation or if they do not care about deviations from the natural rate of unemployment (or output, depending on whether the unemployment gap or the output gap is used for the central bank's policy rule). And some authors believe that inflation is in the long run really always caused by excess demand, and that the system gets back to its natural level, so that there should be no concern other than inflation. Under these circumstances the Fed has an effect on inflation through two mechanisms.The Fed could maintain the rate of interest low even in the face of an economy close or in extremis at the natural rate, supposedly stimulating spending, and it could also affect inflationary expectations. The later is the basis for Blanchard's proposal to increase the inflation target to 4%, for example. The same solution was suggested by Krugman (my comments here). On the first issue, besides the problem that most mainstream economists do not know what is the precise level of the natural rate of unemployment (and I'm not even going to get into the logical problems which the rate), there is the issue that the natural rate is not constant, and it might be affected by the actual level of unemployment. So as the Fed keeps the rate low, and again this would arguably lead to more spending, higher output and lower unemployment, the natural rate would fall, and inflation might not pick up. * In addition, there is the fact that lower rates might not translate into higher private spending after all. Eccles famous 'pushing on a string' story. In that case, it seems that the Fed has actually limited capacity to affect inflation. The second point emphasis the role of expectations. The notion is that the Fed affects what agents think and has real effects through this channel. This is a variation of the inflation expectations fairy according to which higher expected inflation would lead to more investment. Here again Eccles is relevant. Eccles was very explicitly against confidence fairy type arguments (see here and here). Here the argument is that if the Fed announces its willingness to allow for higher inflation, then agents would assume that inflation would indeed be higher (economic agents don't seem to care what the mechanism by which inflation will end up being actually higher), and would spend more (holding to cash would hurt them). So if the Fed says inflation could go up to 4%, even though oil prices are low, and wages are stagnant, economic agents ignore facts, and hold to the expectations of inflation. In this case, by spending, with the economy being at the natural level, economic agents cause the inflation that the Fed stimulated in a self-fulfilling prophesy. Again, inflation occurs because of excess spending when the economy is at the natural rate. The key to understand how (what mechanism) the Fed can (or can't) affect prices is crucially linked to that very problematic concept of the natural rate. Don't get me wrong. I think the Fed can affect prices, but is way less effective than what the conventional wisdom suggests, and its powers are asymmetric, meaning it can reduce inflation more than it can increase it. First, hiking the rate of interest, from a cost perspective, increases financial burden of firms and that might lead to higher prices (something that was known as the Gibson Paradox, the positive relation between the interest rate and the price level; later has been also known as the Cavallo-Patman effect). But higher rates, more importantly, increase the burden of debt, leading consumers and firms to possibly default, and reduce the level of activity. 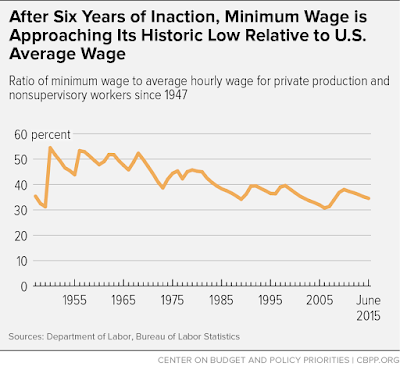 It is the lower level of activity, and its impact on workers bargaining power, and, hence, the absence of wage pressures, that matters for stabilization. On the other hand, reducing rates as noted above might have little impact on spending and the level of activity. Traditionally low rates were instrumental in making fiscal expansion easier, since the government could borrow at low rates. But in the absence of government spending, and any other additional increase in autonomous spending, lower rates per se are unlikely to lead to a booming economy, particularly one that is beyond full capacity and that would display demand-pull inflation (inflation more often than not is cost-push anyway). * Laurence Ball now says the natural rate of unemployment is around 4.3%, for example. Ten years ago (September 2005) I launched my website. 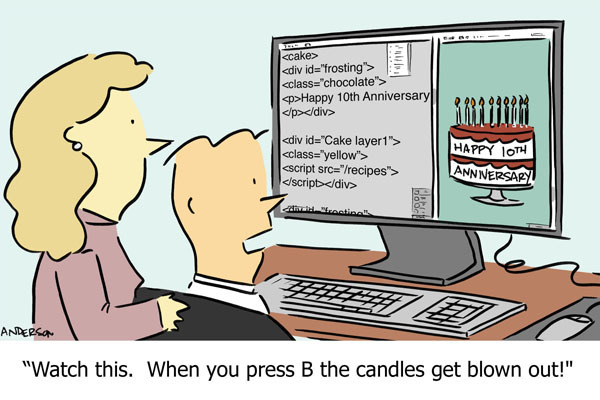 To mark this anniversary, here are ten postings that I think got it right. Many of them are included in my book, The Economic Crisis: Notes From The Underground (2012). 1. Keynesianism: what it is and why it still matters (September 18, 2005). My first post. What was intellectually unfashionable back then is now in. 2. The Questionable Legacy of Alan Greenspan (October 16, 2005). Raining on the Maestro’s parade was not popular. 3. Winner’s curse: The Torment of Chairman-designate Bernanke (November 4, 2005). I suspect Mrs. Bernanke wishes Mr. Bernanke read this before accepting the job. The pope’s call to a common humanity is much-needed, but to our ears the most striking word in that passage is 'north.' Here is the Latin American pope acknowledging that the migrants are moving north to the United States, not the other way around. This is the same United States that practices the capitalist economics the pope has excoriated on so many other occasions. There must be something moral to free-market economics if it creates so much opportunity that attracts so many of the world’s poor." Hmm. Interesting take. There is something material about the US economy for sure. 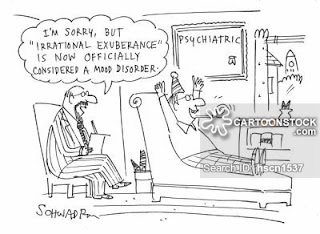 How they confuse material well-being with morality is another issue. Beyond the confusion between the ideology of free-market and the economic system actually in place in the US, I think it's safe to say that one can understand why immigrants move North, while at the same time believe that there are better alternatives to the US version of capitalism. There is something striking in the WSJ piece indeed, but it isn't the word north. PS: Their editorial reminded me of Joan Robinson, who said (Economic Philosophy, p. 45) that "as we see nowadays in South-East Asia or the Caribbean [and one could add Middle East or Latin America], the misery of being exploited by capitalists is nothing compared to the misery of not being exploited at all." Citation Index, SSCI) in the last citation report. As it can be seen heterodox journals have a considerably lower impact factor than mainstream journals. The leading heterodox journal in my list* (the Cambridge Journal of Economics) is comparable to a lower ranked mainstream journal (certainly not the bottom of the line, since it's above Economica, but low). 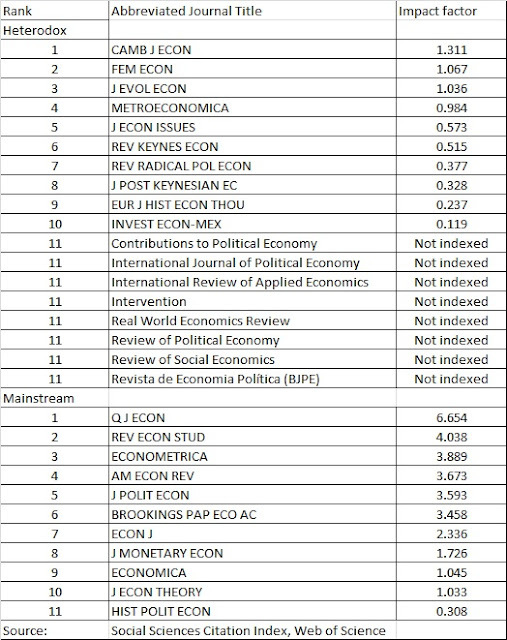 Worse several important heterodox journals are not even ranked. The universe of of published articles (C) is what really matters for heterodox journals, it would seem. Heterodox journals would have less citations if the universe of articles involves all economic journals. The reverse would have almost no impact on mainstream journals. The late Fred Lee did some research on the bias of the conventional rankings, and built some alternative measures (subscription required). His proposal suggested separating the mainstream and heterodox fields as different disciplines. While this solution would certainly resolve certain issues for heterodox journals, issues related to the bias in favor of journals from developed countries, and perhaps more specifically English speaking countries is not dealt in this approach. The case of Revista de Economia Política (also known as the Brazilian Journal of Political Economy, REP or BJPE), which has been published for 35 years and is, perhaps, the leading Brazilian economics journal is illustrative in this context. The fact that REP is not indexed highlights the developed country, Anglo-Saxon bias in economics (probably true in other fields too). Other problems occur for subdisciplines of economics that are not taken seriously by mainstream economics, like the history of ideas. For example, the History of Political Economy (HOPE) journal is not particularly heterodox (I would say mainstream is not an incorrect definition of its stance, even though it is open to and has published heterodox authors). But, as it can be seen in the table above, it ranks lower than many heterodox journals. My concerns with a policy that separates the rankings, and makes heterodox economics a different field than mainstream economics, is that it increases the isolation of the heterodoxy, and creates the conditions to suggest that heterodox economics is not economics (there will be economics and heterodox economics). Note that rankings increasingly matter for decisions about hiring and retention. In my view, the important thing is to only use rankings with significant qualifications, and not as a the single or even the main tool to evaluate the quality of a journal. * The list is, no doubt, incomplete. There is no way of searching for heterodox journals, so I used my memory and searched the ones that I thought relevant for the basis of this post. There is an obvious bias in the sample, but that would be about the same for the mainstream journals in the list. For a more comprehensive list see Fred Lee's paper linked in the text. PS: Full disclosure I'm on the board of REP and Investigación Económica (number 10 in the list above) and, also, I'm one of the founding co-editors of the Review of Keynesian Economics (ROKE; number 6 in the list). How is austerity working for you? "Social geographer Ewald Engelen is a Keynesian. Throw money at the economy and everything will be fine, is his theory. He fulminates and tweets all day that the government must spend. This morning Ewald put a link to the Naked Keynesianism, a site that is pro-spending money. Critics on this blog believe that the Netherlands is sick, sicker than in the mid-seventies, when our production lagged behind because we had found gas and with our backs to the sun lay staring. Look at that chart. Go to it!" I love that Keynesian is like a dirty word (that's actually the reason the blog has its name). I should change the subtitle of the blog to "a pro-spending money blog." The it is this post. 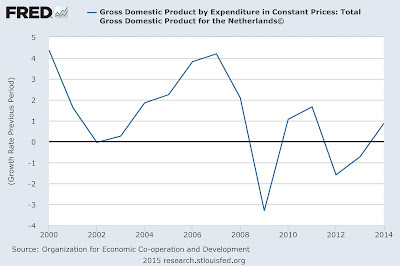 Take away the obvious confusion about calling the Dutch economic sick (he obviously doesn't know about the well established Dutch Disease very well), how well has austerity worked after two more years. 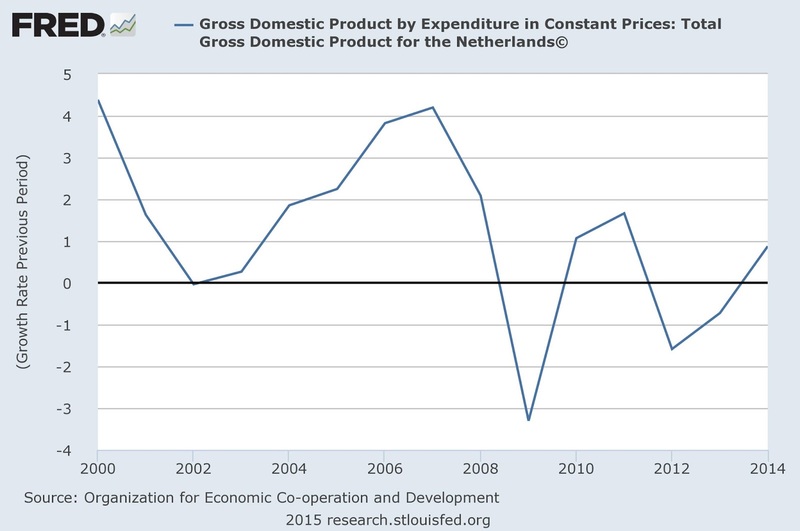 The average rate of growth of the Dutch economy since the crisis hit is -0.3%. And the economy only started to recover from the second dip last year, with the impressive figure of 0.9% growth. Austerity is a success indeed! Yesterday I listened to this interview on the radio (Bloomberg's Surveillance) with Robert Shiller (you can jump to the last 9 minutes, that's when Shiller starts talking). He is for fiscal stimulus to get us out of the funk, but for higher rates to deal with outline asset prices. No discussion of using regulation to preclude speculation and bubbles in asset markets. PS: The piece cited at the beginning of the interview is this one. 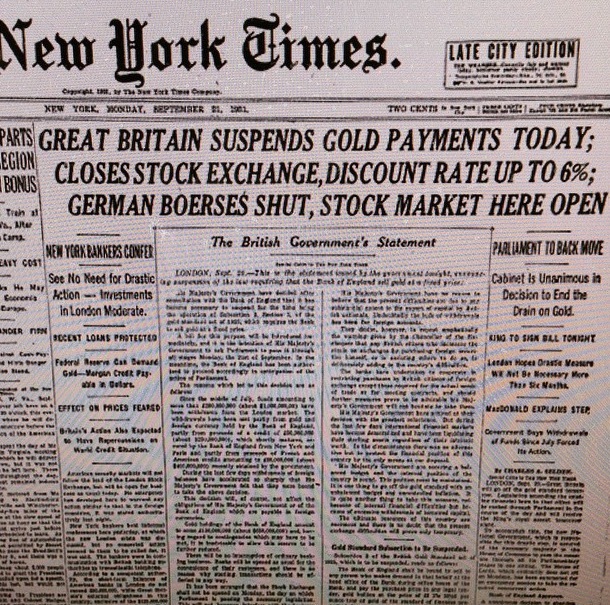 84 years ago Britain left the Gold Standard. Some thought it was the end of Western civilization. 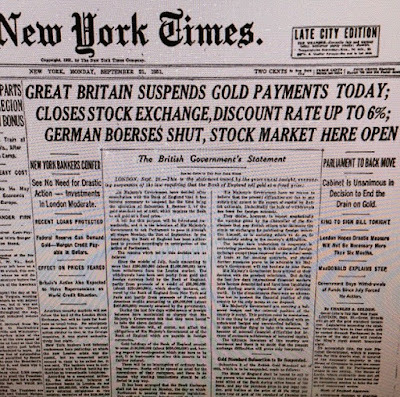 Keynes thought it was the beginning of the end of the Depression, at least in Great Britain. He was certainly happy. He said: "There are few Englishmen who do not rejoice at the breaking of our gold fetters. We feel that we have at last a free hand to do what is sensible. The romantic phase is over, and we can begin to discuss realistically what policy is for the best." On the functioning of the Gold Standard and why the conventional view, which according to Eichengreen can still be roughly understood with Hume's specie-flow mechanism, is incorrect go here. 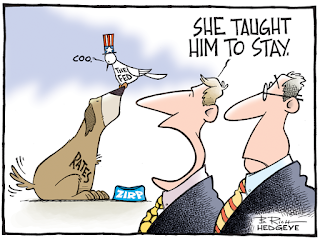 Rate Rage -- Paul Krugman is right, the cry for higher rates comes from a "narrow business interest group": banks. 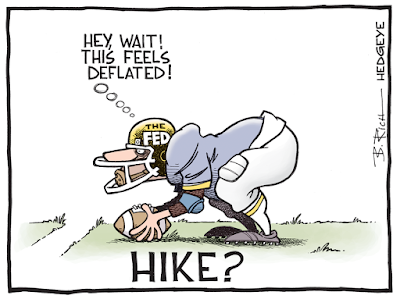 Fed Fails to Raise Rates in Timely Manner, End of the World Is Imminent -- Dean Baker on the same issue. And no it won't end, don't worry. Guess Who? -- By Sandwichman. A bit old, but a few quotes that show how much the GOP has changed. The Fed has left the interest rate unchanged... for now. One dissident vote for raising the rate now. The main reason according to the press release is that: "Recent global economic and financial developments may restrain economic activity somewhat and are likely to put further downward pressure on inflation in the near term." Pressures for a hike in October or December will increase significantly, even if the official position is vague enough. They say: "The Committee anticipates that it will be appropriate to raise the target range for the federal funds rate when it has seen some further improvement in the labor market and is reasonably confident that inflation will move back to its 2 percent objective over the medium term." In the last issue, The Economist suggests that the Fed should not be concerned too much with inflation, and that they should not raise the interest rate for now. They say: "Weak wage growth suggests that there is still lots of slack in the labour market. Underemployment, which includes workers who are part-time but want a full-time job, and discouraged workers who might be tempted back into the labour force, stands at just over 10%, higher than before the crisis. This measure probably has further to fall before wage growth picks up. 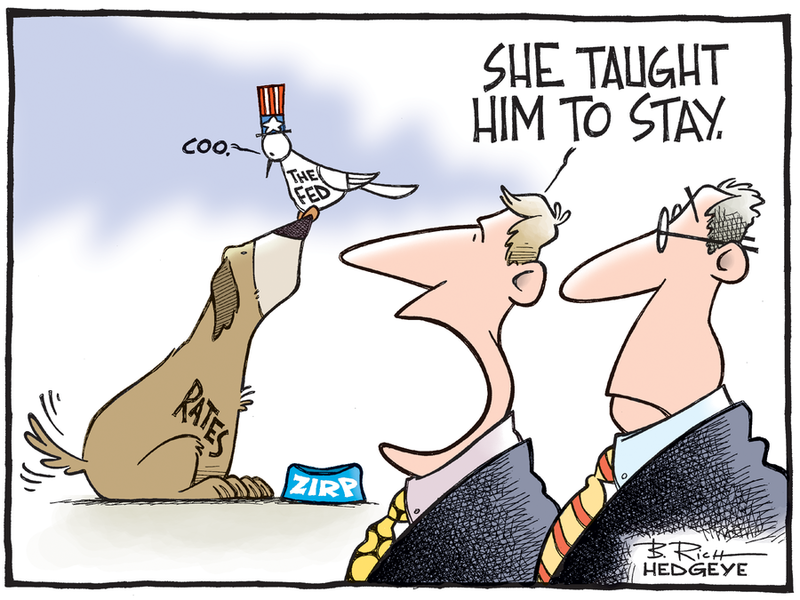 The Fed may also be underestimating how far unemployment can fall without stoking inflation." Instead of raising it now, Yellen should wait until the December meeting. In their words: "A rate rise would cause a big market reaction, because it is not fully expected. Markets place roughly a one-third probability on it happening. Were Ms Yellen to hold off, she would have time to lay the groundwork for a more predictable rise in December." Tomorrow, for those around Lewisburg, I'll present my paper on “Interest rates, terms of trade and currency crises” at the economics department's brown bag seminar series in ACWS room 116 from 11:45 to 12:50. Or close to. The figure below is not just the real minimum wage, which I posted before (most recently here). It is as it says the ratio of the minimum wage to the average wage. 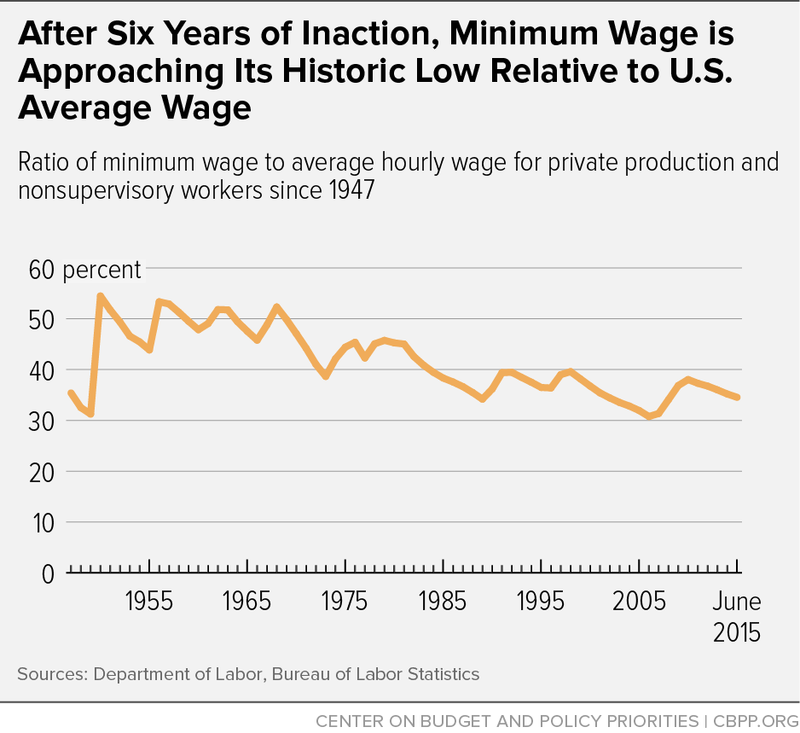 The figure neatly shows that while in the 50s and 60s the minimum wage was about 50% of the average wage, since the 1980s it has been closer to a third. Read rest here. Although it's framed as a public defender issue, it is really about debtors' prisons and the criminalization of poverty. Nathan Rosemberg: 1927-2015 -- An obituary, as promised. This one by Joel Mokyr. Jeremy Corbyn's opposition to austerity is actually mainstream economics -- This is old news. But Corbyn did win, and several friends signed the letter. Commemorating Chile's Unidad Popular -- Alejandro Reuss on the other 9/11. India’s trade balance and current account have shown persistent deficits for a major part of its post-independence period. Since the mid-2000s, trade deficits have increased perilously, with a sharp rise in both oil and non-oil imports. This has increased the magnitude of the current account deficit, as net earnings from services and remittances have been insufficient to offset the trade deficits. India has relied on remittances, services exports and capital inflows to finance these deficits. This paper argues that all three sources entail elements of fragility. The recent global economic slowdown, economic recession in Europe, slow economic recovery and low growth forecasts for the US and Europe, and the potential Dutch disease effects of remittances raise questions on whether services exports and remittances can continue to generate sufficient earnings to sustain these deficits, especially if they continue to increase. Relying on remittances and capital inflows for financing ever-rising trade deficits also carry risks of financial fragility, especially with short-term capital inflows becoming more prominent in the Indian economy. Policy efforts aimed at improving the competitiveness of merchandise exports to reduce the magnitude and persistence of these deficits seem to be the need of the hour. So Brazil (or here about Petrobras, the State oil company) lost its investment grade status with Standard & Poor's. You would think this is huge given the media attention in Brazil. If you read S&P's actual rationale for the downgrading (here) it is essentially about the fiscal situation. They say: "We now expect the general government deficit to rise to an average of 8% of GDP in 2015 and 2016 before declining to 5.9% in 2017, versus 6.1% in 2014. We do not expect a primary fiscal surplus in 2015 or 2016." 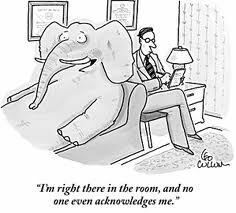 They do discuss the political problems too, the corruption investigations,* and the political instability that has plagued the government. There is a discussion of the external vulnerability, but here they are quite sensible and know there is no problem. The report says that: "despite the wider current account deficit, Brazil has low external financing needs compared with its current account receipts and its high level of international reserves compared with some of its peers." So this is a fiscal problem in their view. And therein lies the problem. They had years ago also revised the outlook of US debt negatively (my comments here), also on the basis of fiscal, and political, factors. As much as the US then, Brazil now has no risk of not paying its internal debt in domestic currency. And yes, the fiscal outlook has worsened, and the reasons are no secret. It's austerity. If you cut spending, output falls, and the recession leads to lower revenue and higher deficits. It's part of the problems caused by policies that S&P's analysts actually favor. Austerity also is the cause of the recession, and the worsening of the growth outlook in the next couple of years, which are also discussed in S&P's rationale for the downgrade. So the fiscal problems that are the main cause for the downgrade are self-inflicted wounds (see Serrano and Summa), and the cause of the lack of growth and the worsening of the future fiscal balances. But more importantly, the downgrade itself is kind of irrelevant. 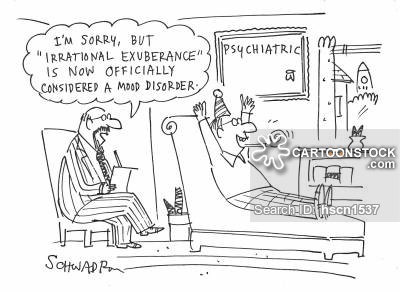 S&P doesn't think, as I quoted above, that the external situation is particularly problematic. The recession will actually reduce the current account problems, by reducing imports. So there is no external crisis. The devaluation of the real has been part of a global trend, and in part has been reinforced by the government that seems to believe, incorrectly in my view, in the New Developmentalist philosophy that fiscal adjustment (to control inflation) and devaluation (to promote export-led growth) are part of the solution. If the downgrade cannot worsen the external situation, certainly it cannot have an effect on the ability of the government to pay its bills in domestic currency. At any rate, even if in this case the downgrade is kind of irrelevant, it is important to remember that credit rating agencies were, and still are, one of the worst citizens in international financial markets. They were co-responsible in the bubble, that preceded the crisis, and in the meltdown of the financial sector in the 2008 Global Financial Crisis. The fact that they complain about corruption in Brazil, while they profited giving triple-A ratings to subprime junk is outrageous. And as they say, their views are just opinions. I would add biased and not particularly accurate. They should be put out of business with a public rating agency. * I could go on on the corruption stuff, but I'll post something later. If you're around Lewisburg next Tuesday. 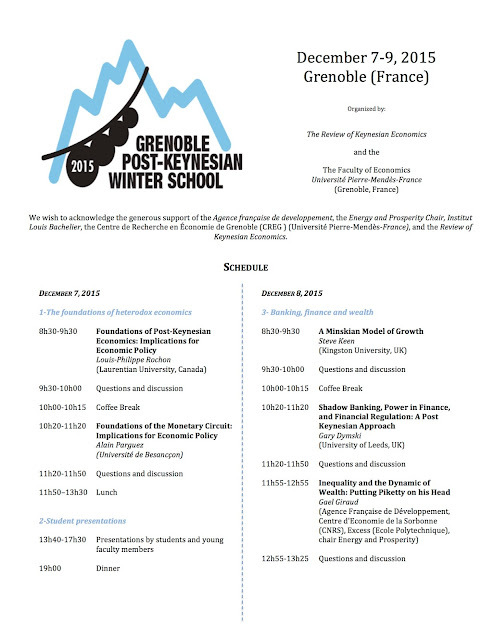 As much as there has been an institutional turn in mainstream economics, since the 1980s, which is not completely dissociated from the anti-Keynesian turn that started in the 1970s and led to the segregation of heterodox groups within the profession, there has been a poverty-turn in the development economic literature, as noted by Jayati Ghosh. "Macroeconomic processes are entirely ignored: patterns of trade and economic activity that determine levels of employment and its distribution and the viability of particular activities, or fiscal policies that determine the extent to which essential public services like sanitation, health and education will be provided, or investment policies that determine the kind of physical infrastructure available and therefore the backwardness of a particular region, or financial policies that create boom and bust volatility in various markets. No link is even hinted at between the enrichment of some and the impoverishment of others, as if the rich and the poor somehow inhabit different social worlds with no economic interdependence at all, and that the rich do not rely upon the labour of the poor. This shuttered vision is particularly evident in the neglect of the international dimension in such analyses, and of the way in which global economic processes and rules impinge on the ability of states in less developed countries to even attempt economic diversification and fulfillment of the social and economic rights of their citizens." The notion that development, and that meant industrialization, is central for elimination of poverty has vanished. But the mainstream has adopted a pro-poor stance. And who is really against reducing poverty? I've been teaching an Intermediate Political Economy course, substituting Berhanu Nega, who regularly teaches this course. The text used, and it was already in the bookstore, is Bowles, Edwards and Roosevelt's Understanding Capitalism, which puts an emphasis on individual behavior as the main difference with the marginalist view, and is not the best choice, in my view. At any rate here are a few old posts on Marx, which is central to the first part of the course (towards the end Veblen becomes more important; I guess at Bucknell this is the way we introduce Marxism and Institutionalism; glad I'm teaching it and having a better perspective on our curriculum). PS: The course has other books and texts, which complement the main text. I highly recommend the one by my colleagues Sackrey, Schneider and Knoedler Introduction to Political Economy. 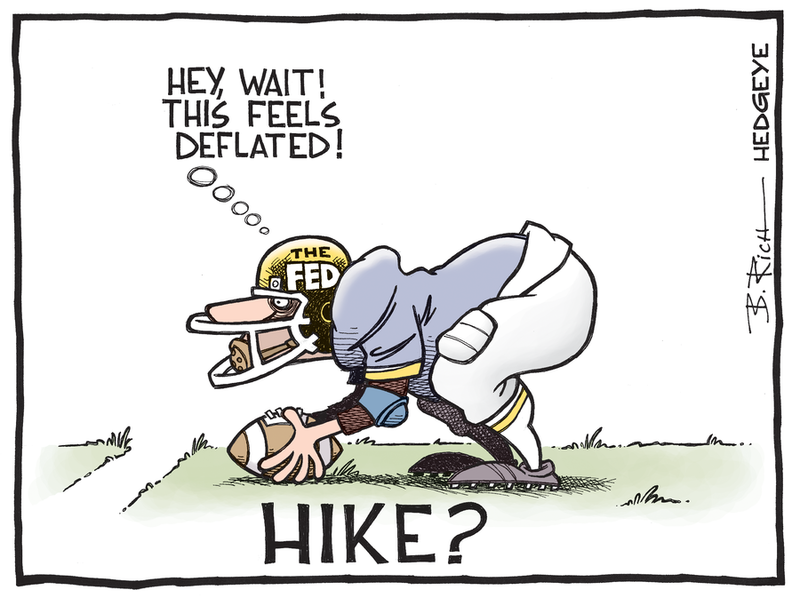 Will the Fed hike the interest rate? It seems increasingly probable. Stanley Fischer suggested that is possible in his speech last weekend at Jackson Hole. My bet is that unless labor markets numbers are terrible Friday, there is a good chance there will be a minor rate increase in the next meeting. That is a bit of a surprise. It's also not a very good idea, as I noted before, and Mark Weisbrot suggests here.